We are just a week away from our annual holiday bazaar. 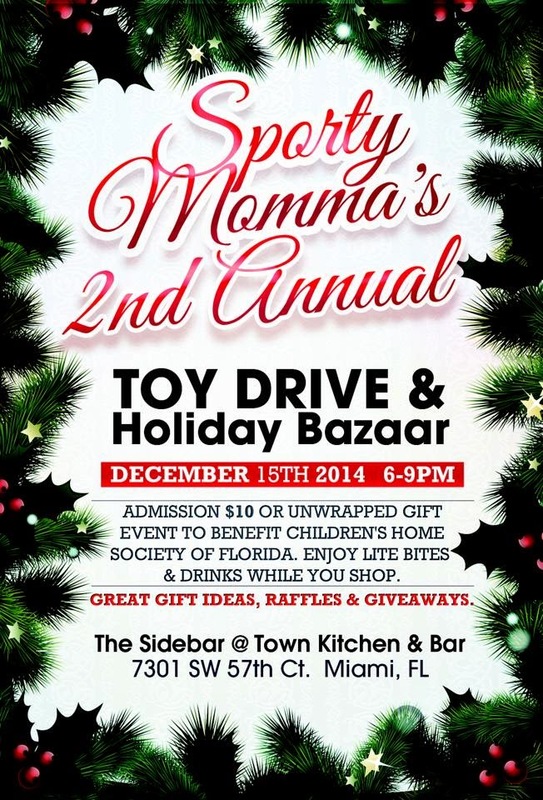 This year come sip and shop 6 mommy owned businesses and enjoy delicious food from our friends at Town. All toys and donations will benefit the Children’s Home Society of South Florida. We really enjoyed ourselves last year and we know we are going to put a lot of smiles on a lot of kid’s faces. So get your babysitters lined up and call your girls for a fabulous mom’s night out!